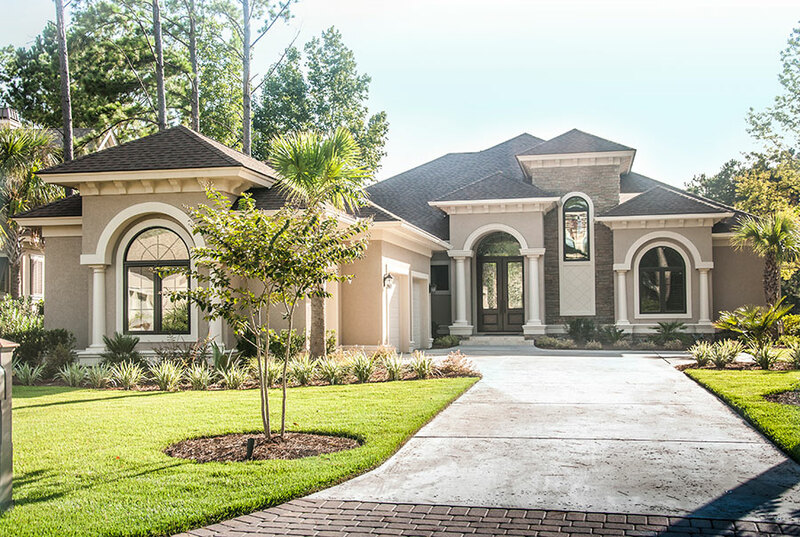 This 3271 Square Foot Transitional Style Home has 3 Bedrooms, 3 ½ Baths, and a Media Room. 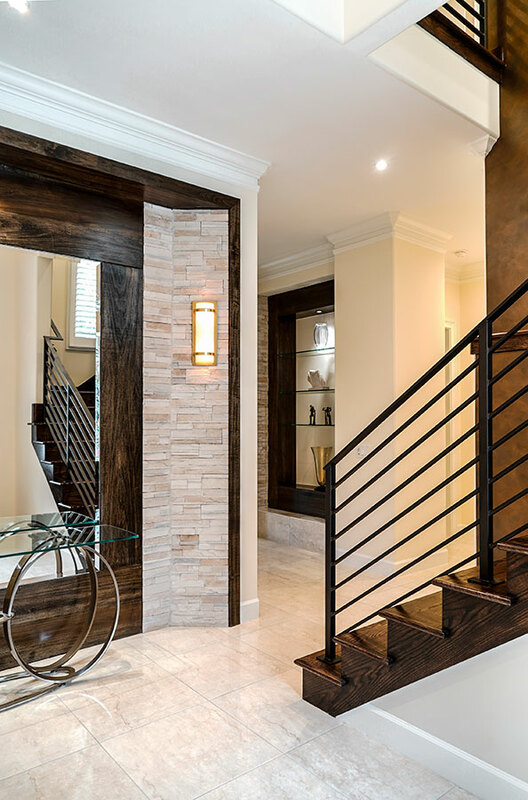 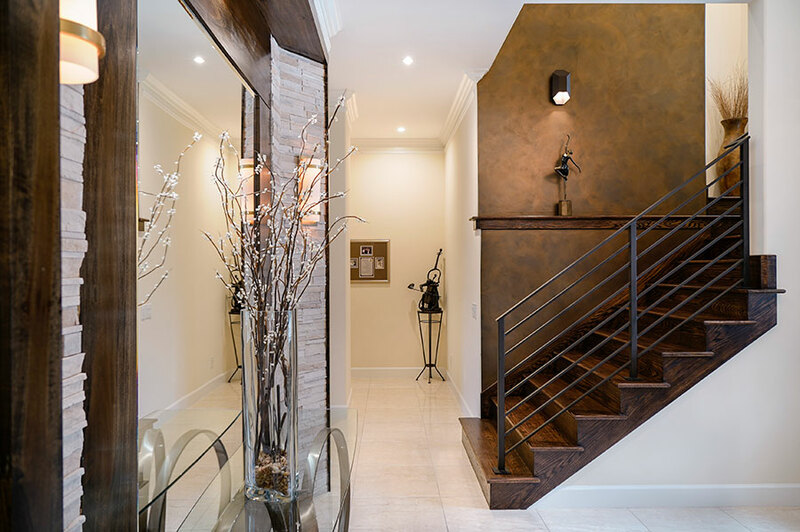 This Home has a Unique Foyer Area; as you walk into the home you are facing a Mirrored Wall Framed in a Stacked Stone. 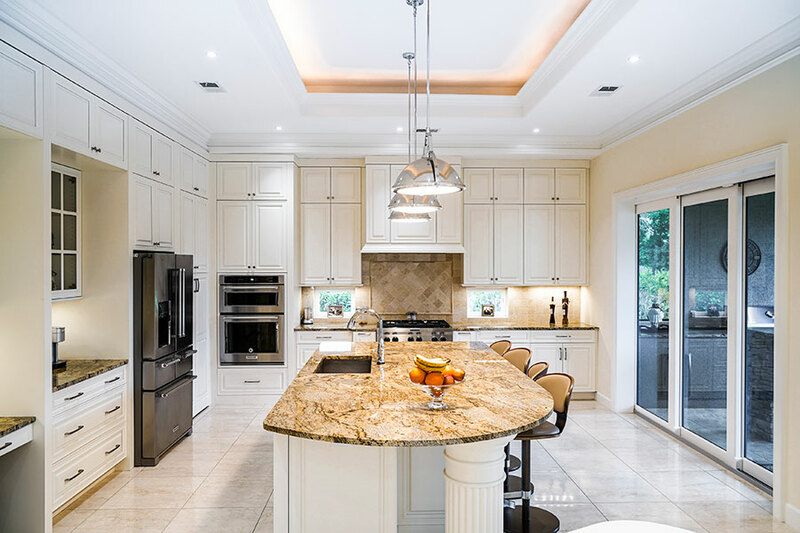 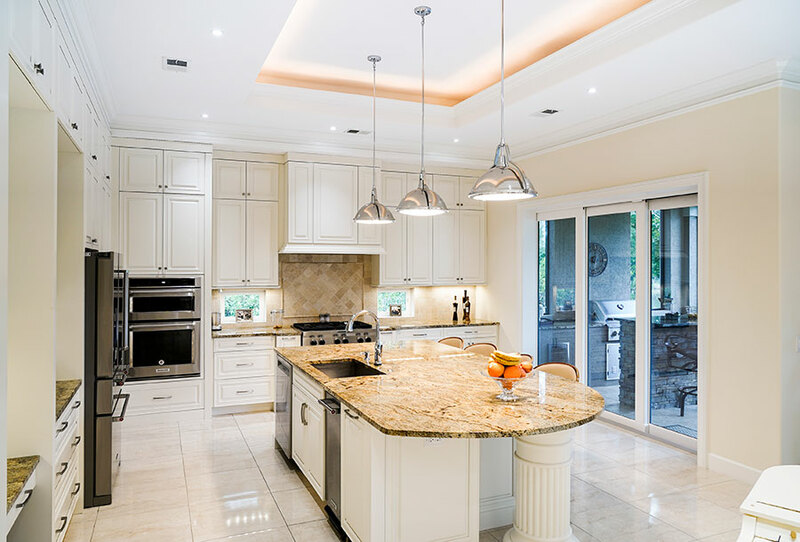 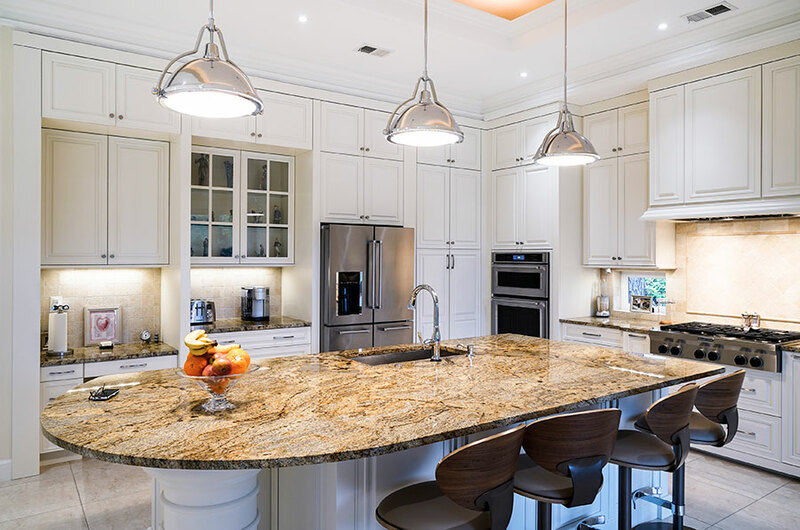 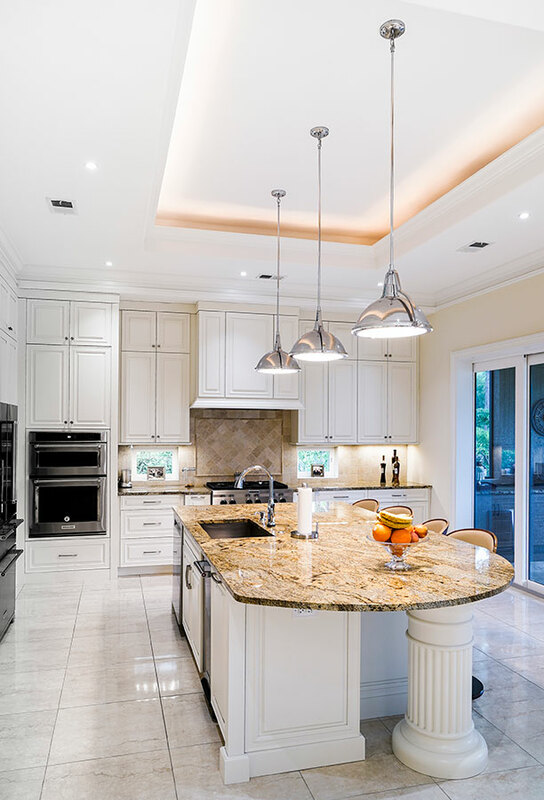 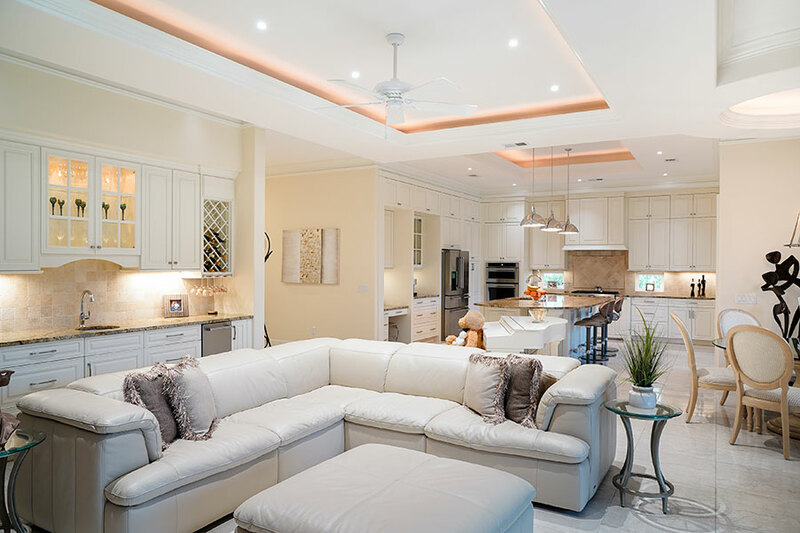 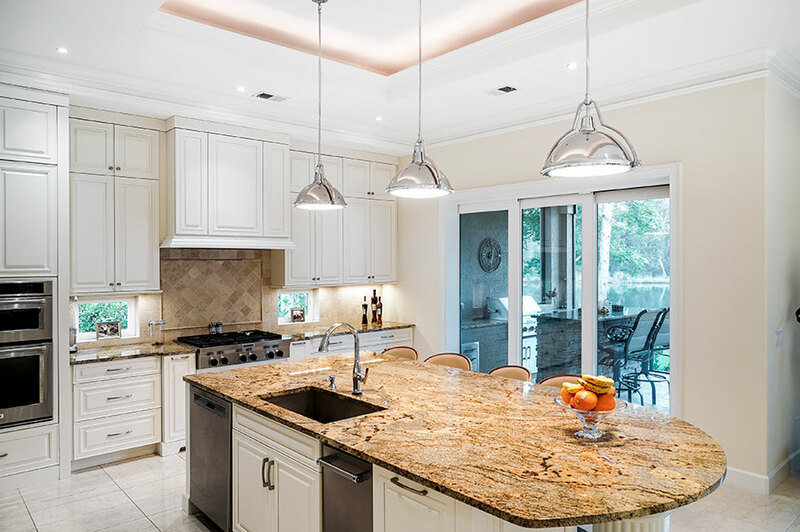 The Large Kitchen has, Custom Designed and Built Cabinets, Granite Countertops, Stainless-Steel Appliances and a Large Walk-In Pantry, hidden behind Cabinet Doors. 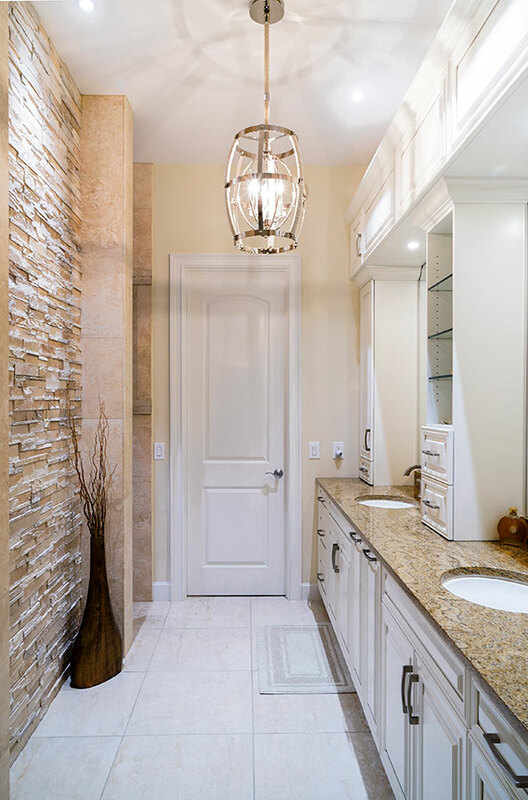 The Floors through out the home are a Beautiful Tile, both Porcelain and Travertine. 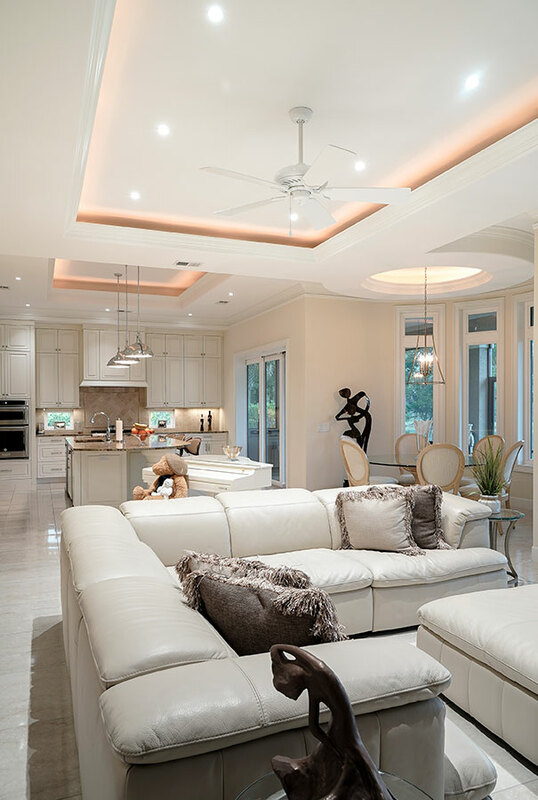 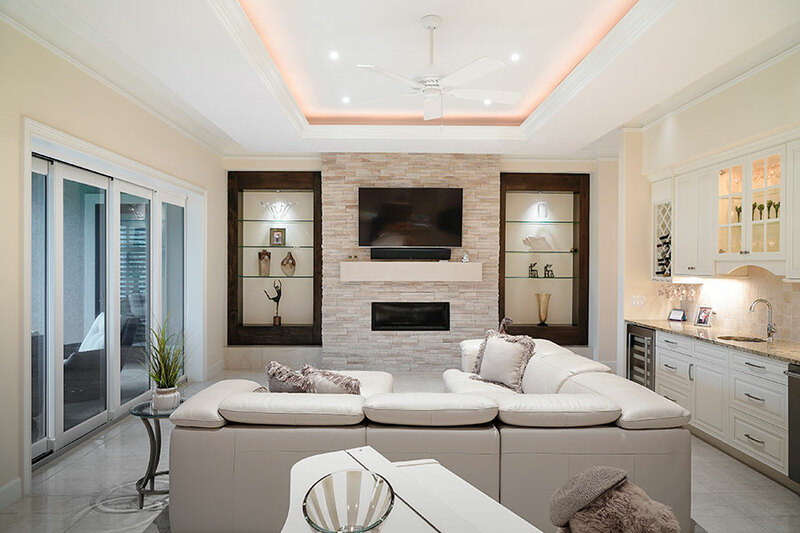 The Living Room has a Custom Designed and Built Bar Area, a Lovely Stacked Stone Fireplace with Custom Designed and Built, Built-In Shelves as well as very Unique, Custom Designed, Ceiling Details. 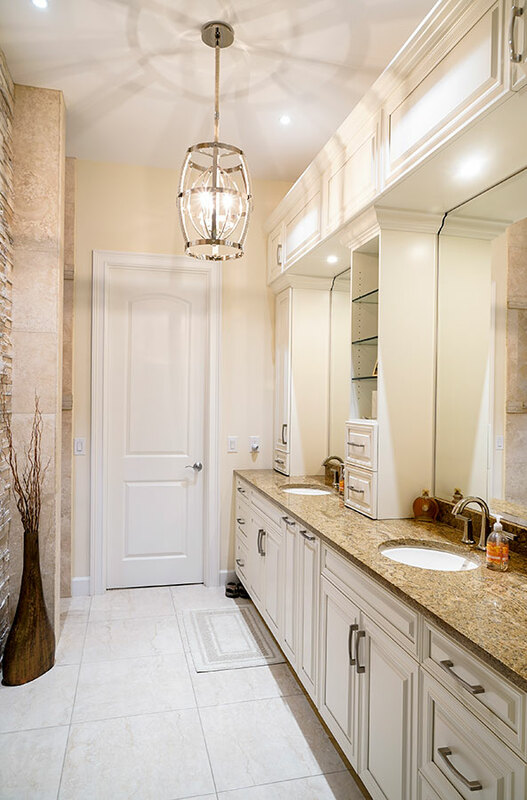 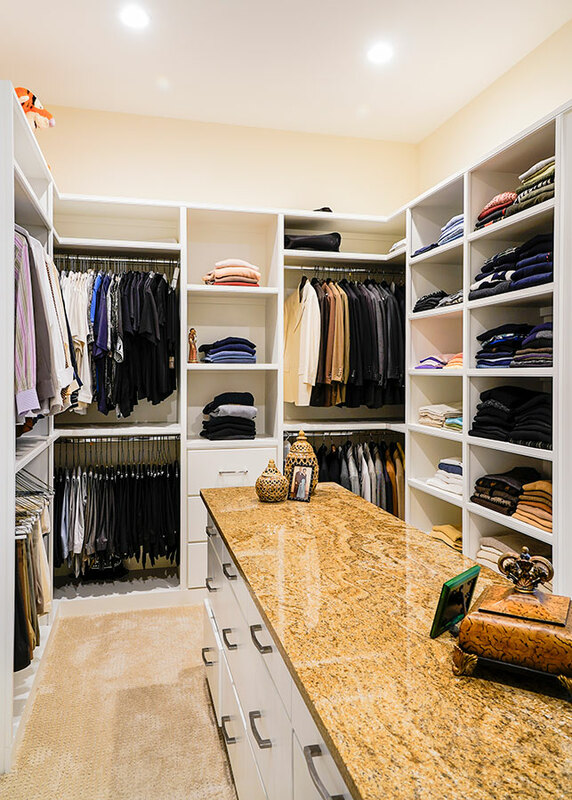 The Master Bath has a Huge Walk-Through Shower, Custom Cabinetry and a Master Closet that will take your Breath Away with the Many Hanging Areas, the Built-In shelves and the Custom-Built Dresser that Sits in the Center of the Closet. 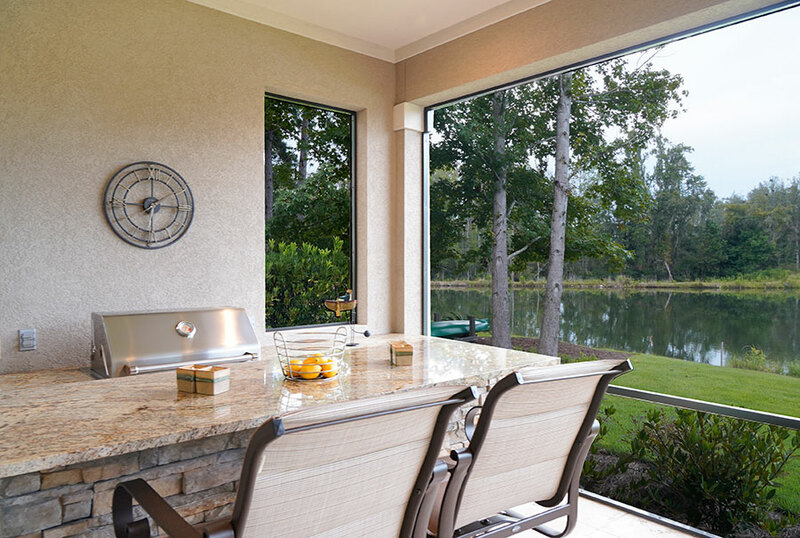 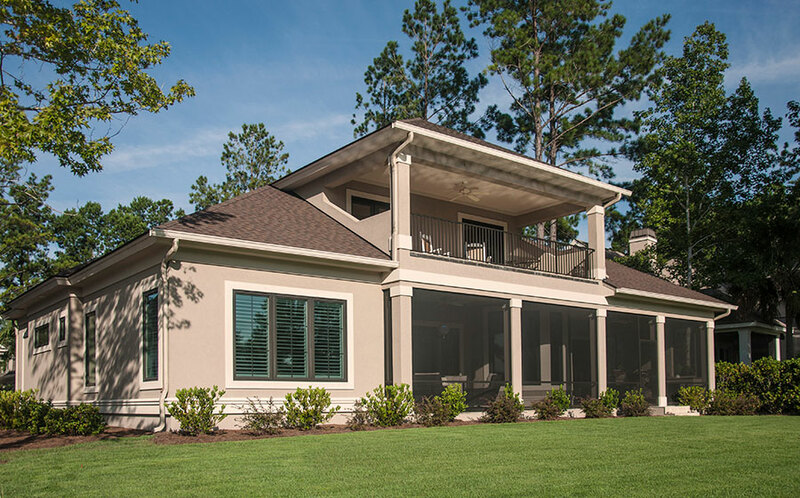 The Outdoor Living Area is Large with lots of room for comfortable furniture to sit and enjoy the beautiful View of the Lake. 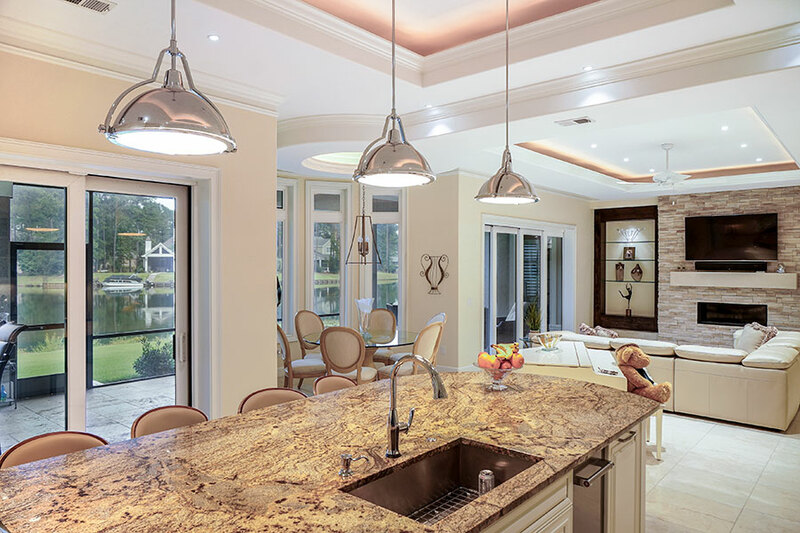 The Outdoor Kitchen area has a Large Built-In Grill with lots of Counter Space as well as a Spectacular, Stacked Stone Bar; the perfect place to spend Quality Time with Friends and Family.